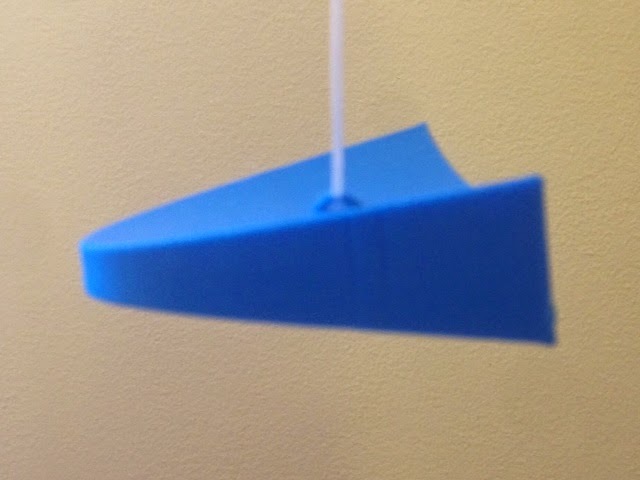 Today we printed designbynumbers' Center of mass manipulatives for calculus classes from Thingiverse. It worked very well and balanced wonderfully! Settings: Printed on a MakerBot Replicator 2 with .2mm layer height. We changed the infill to "linear" instead of "hexagonal" because the hexagon-filled one seemed not to balance quite right. With linear infill the balance was spot-on. Linear infill! I never even knew there was such a thing! Genius! They hide it from you; to change the infill style you have to make a custom profile and edit it to change "hexagonal" to "linear". I'd love to see more of these center-of-mass examples, especially non-symmetric ones!